The boundaries of Courtown Golf Club in County Wexford may lie within 100 metres of the sea but it is actually a parkland course. 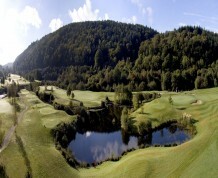 The par-71 lay-out is surrounded on three sides by forestry and the course boasts thousands of trees. In fact, every fairway is tree-lined so you'll need to be on your game, especially off the tee, if you pay a visit here. 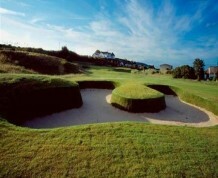 The course measures 6428 yards and provides great variety. The four par-3s, for instance, are a feature, particularly the 18th, where a pond has to be negotiated and the threatening out of bounds on the left concentrates the mind wonderfully. The club was founded in 1936 and visitors can expect the warmest of welcomes. 3 miles from Gorey on the Courtown side.